Just Cavalli SS2018 advertising campaign captures the young, free-spirited attitude of the brand. Fashion photographer Olivier Zahm lensed models Kyler Iacino, Avery Tharp, Jordan Daniels and Ahn Jae-Hyun as a cool tribe gathering together in a house in Los Angeles’ Silver Lake. A sense of joy and happiness meets a glamorous feel in the candid images, portraying the crew spending quality time together. It’s a celebration of friendship, love and youth. Iconic pieces of the Just Cavalli SS2018 collection stand out in the intense images. 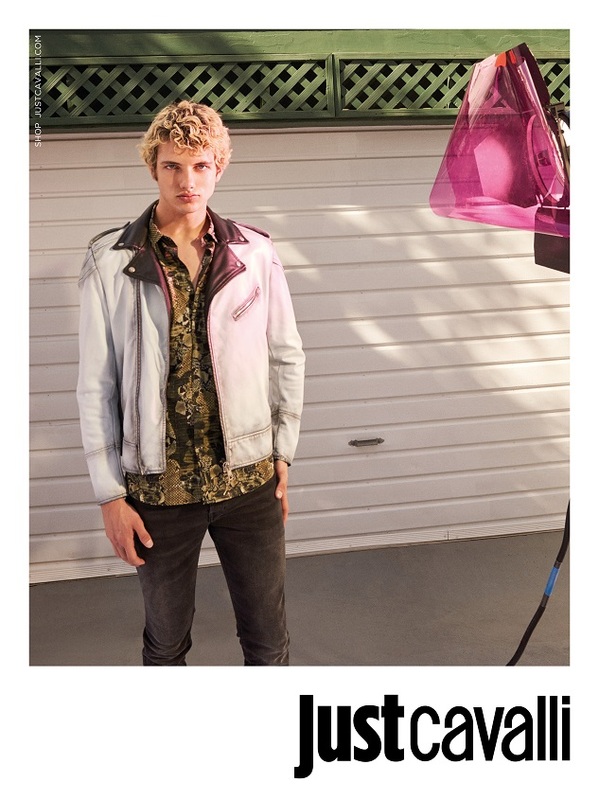 Lightweight dresses’ vivid prints, inspired by New Zeland’s nature, vibrate in the in the golden light of a L.A.’s sunset, while rock ‘n’ roll vibes echo in the men’s biker jackets and embellished bombers. A touch of romantic femininity is conveyed by lace and silk frocks punctuated by delicate ruffles. Just Cavalli celebrates a joyful lifestyle trough its iconic aesthetic rooted in an idea of energetic, dynamic beauty.